A Herbalife Membership allows you to save money on your Herbalife purchases. There is absolutely no obligation to buy and no minimum or maximum spend. When you sign up for a membership you are signing up to be able to purchase directly from Herbalife and cut out the middleman and enjoy the savings. The majority of people who sign up for a membership do so just to get the discount for themselves and/or their family and friends. The pack includes Nutritional Protein Drink Mix - Cookies & Cream (550 gms). This product, by itself, normally retails for HK$343.00. 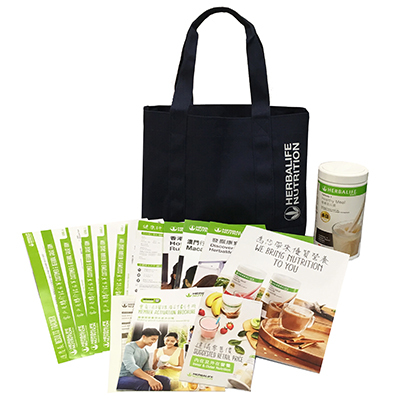 Ongoing savings of 25% on your Herbalife product orders. No minimum monthly purchase (buy what you want, when you want). Order direct from Herbalife - no middle man.